A new activity we can offer you is diving with the Integrated Dive Mask (Full Face Mask). 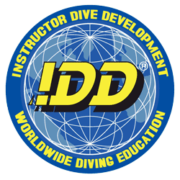 We use the OCEANReef IDM for these dives. The advantages of diving with an Integrated Dive Mask are plenty! No more jaw fatigue, you have nothing in your mouth, so you are free to communicate (if you have the communication set on your mask) and are able to breathe through your nose. Equalizing is easier because now you are free to use different options like yawning, swallowing and closing your nose. No fogging thanks to the air circulation system, so no anti-fog product needed! No clearing of the mask from water because it simply doesn’t flow in! Which activities do we offer, using the Integrated Dive Mask? Well, first of all, the Discover Scuba Dive. Of course, you can still choose to do it the conventional way, but for some of you, the idea of getting water in the mask is a significant barrier, holding you back to go scuba diving. With this problem out of the way, the underwater world is waiting for you! We also offer guided dives with this incredible mask. Divers who have the Full Face specialty can also rent out the mask to go diving by themselves. Of course, we also offer the specialty Full Face mask diver! In this course, the first thing you learn is how to adjust the mask, so it fits your face perfectly. Besides this, you will learn how to act in emergency situations. What do I do when I’m out of air and my dive buddy is diving with conventional gear, situations like that. 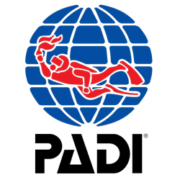 The specialty consists of 2 dives.